Some tailgaters call it their football family: the group of old and new friends they gather with year after year to feast before watching their beloved college teams play on fall Saturdays. After months away, it’s time for the family reunion. Football fans are loading up tents, grills, corn hole games, and network television-worthy collections of satellites dishes and TV’s for their multi-tier tailgate setups. All this prep work isn’t even for the game. It’s for the hours of food, camaraderie and fun leading up to kickoff; moments shared with the collection of collegiate kinfolk you only see in the fall. It’s like coming home for the holidays. And just as with any family, each school’s tailgaters have their own traditions. This holds especially true in the South. 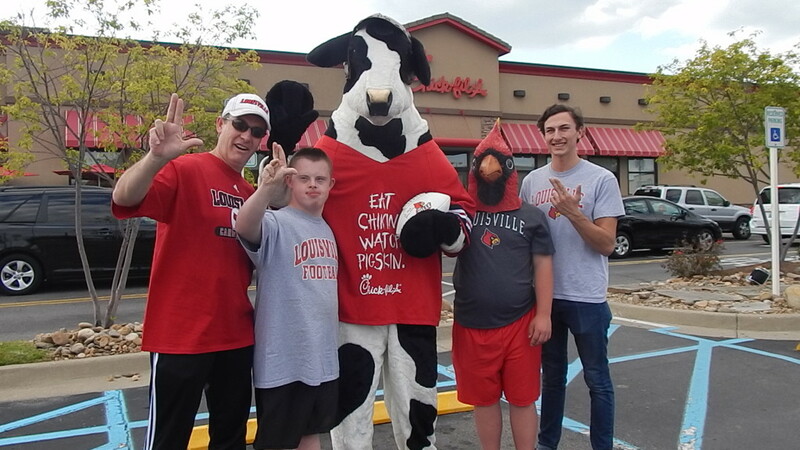 University of Louisville grad and local Chick-fil-A owner Tony Carrico is a die-hard Cardinals supporter who is preparing for the Chick-fil-A Kickoff Game against Auburn. He says Cardinals fans are second to none when it comes to the tailgating food. “What I love about Louisville tailgating is the diverse, eclectic background that’s represented. We have strong German, Irish, Italian, African, Lebanese, and Jamaican presences here. That translates to amazing food and unique diversity in the tailgating dishes,” says Carrico. So what does Carrico bring to his Louisville tailgates? “I have a special recipe that was handed down from my great-grandparents in Germany. It’s a family secret, but I can tell you that it’s a slow cooked roast that I pulverize and then combine with herbs and spices. It put it on a bun or German rye bread with hot- really hot- mustard,” he says. Pregame traditions are about more than just the food, however. Louisville head coach Bobby Petrino shares that his favorite part is the Card March, the team’s iconic entry into the stadium. “The excitement that is generated at Card March is a big lift to our football team as we get ready to enter the stadium. There were so many occasions where we got off the bus and we were greeted by all of our fans, the spirit groups and the band. It’s a special atmosphere that we rely on to help us get hyped up for the game, and are extremely grateful to Card Nation for always making it a memorable experience,” he says. The Cardinals’ Kickoff Game opponent, the Auburn Tigers, have their own rich pregame traditions, starting with a famous stroll to the stadium. On the way to the Tiger Walk, McFadden says you will see a similar scene as the one in Louisville: football families gathering around tents and table spreads like they are Thanksgiving turkeys. 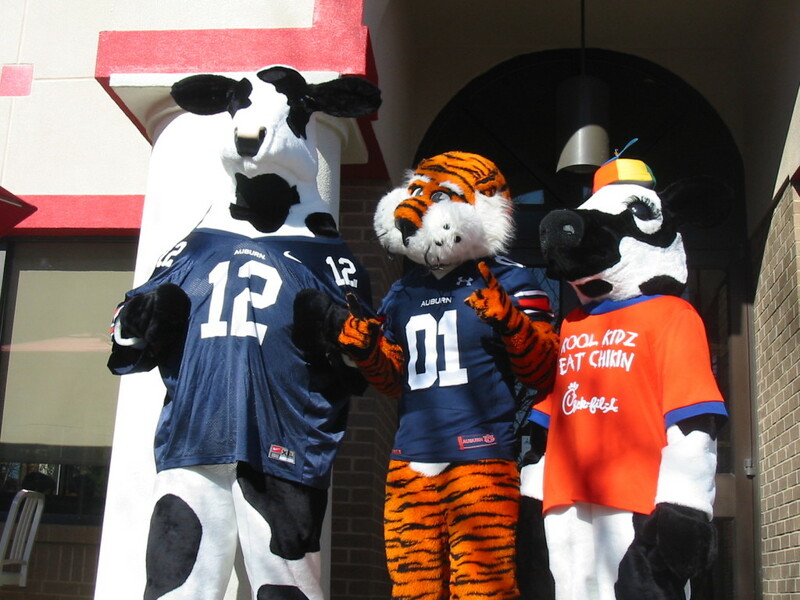 Regardless of where their loyalties lie, both local Chick-fil-A owners agree that the gameday atmosphere is welcome in their restaurant. 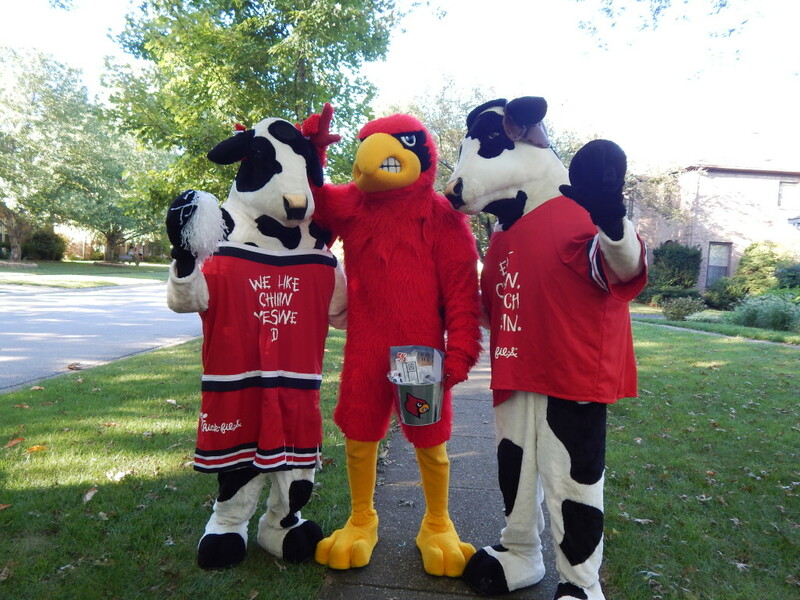 “It’s fun to have a Chick-fil-A close to campus and having game day fans come in,” McFadden says. “We will start chants and cheers in the restaurant, and it’s nice seeing the same families every game day.” Carrico in Louisville is a big proponent of making sure his employees are able to experience campus traditions with their football families. “I have a lot of college team members that are at UL. We accommodate their schedule, not just around school, but if they want to go to the games. Some of the team members are coming down to Atlanta for the Kickoff Game,” Carrico says. Whether it’s an eclectic pregame meal a few blocks away from the stadium in Louisville, or legions of fans shouting “War Eagle” as a bird of prey circles the Auburn game before kickoff, it’s evident these two schools, and many others in the south, are steeped in both football family tradition. Ready to Tailgate like a Southerner? 1. Dress to impress. In many parts of the country, most people don’t give much thought to their appearance before leaving for a college football tailgate. Not so in the South. No matter who you cheer on, you’re going to see a lot of smartly dressed football fans. Guys wear khakis, a button-down shirt with a tie—oftentimes a bow tie—and a sport coat; women dress up in nice sundresses and either heels or cowboy boots. 2. Get ready to make friends, no matter who they root for. If you’re accustomed to the kind of tailgate where you hang out with some old buddies before heading to your seats, then know this: South of the Mason-Dixon line, a college football tailgate is a family affair. It doesn’t matter where you’re tailgating, you’re going to be surrounded by three and sometimes even four generations of family members who are there to enjoy the game. 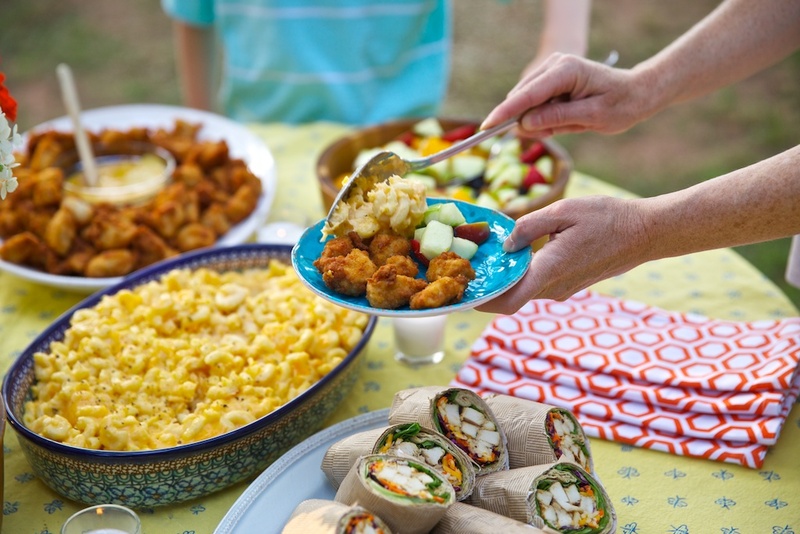 Because southern tailgates are family-oriented and community-focused, you’ll likely get a number of invitations to come eat and drink with people who five minutes ago were complete strangers. Contrary to what you may think, fans of the opposing team are given the same kind of courtesy, so it’s a safe bet that you’ll be fraternizing with supporters of your team’s rival before—and probably after—kickoff. 3. Come hungry—and bring your best dish. Now is the time to break out your best secret family recipe. There will be plenty of burgers and hot dogs- stand out from the crown with a signature dish that other tailgaters look forward to sampling. Of course, any true Southerner knows very well that it’s not an authentic tailgate unless there’s barbecue. (For the record, bringing a bottle of store-bought sauce to a tailgate doesn’t qualify as having a barbecue.) When we say southern barbecue, we’re talking staples like ribs, pulled pork, pulled chicken, smoked sausage, potato salad, corn bread, and macaroni & cheese. How you’ll eat depends on where you are. Though the majority of tailgaters use paper plates and napkins, some cities are known to be a little more formal. Don’t be surprised if you come across catered tailgates featuring white tablecloths, glass dinner plates, and silver cutlery….and the occasional crystal chandelier. This is not the time to pack lightly. In addition to plenty of food, the best tailgates have a sense of personal style with impressive tents. Think satellite dishes and televisions for game viewing, comfortable seating areas, string lights, music for ambiance and, of course, decor. Speaking of décor, everything on your person and in your tent’s general vicinity should be in team colors.– everything. Chairs? Of course. Table cloths? Absolutely. The frosting on those homemade cupcakes? You betcha. Chick-fil-A Kickoff Game, the Chick-fil-A Peach Bowl, and The College Football Hall of Fame and Chick-fil-A Fan Experience.